Synonyms: An Tu! An Tu! 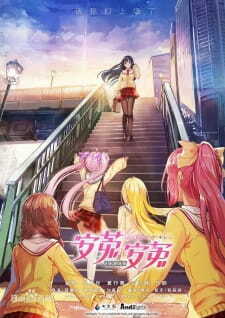 The animation And2 Girls is based on the five members of the virtual idol group And2girls. The story takes place after the era of Big Power Outages in which Shang Jing City has become an international metropolis due to energy reserves and development. Idols have also become recognized by everyone and sought after. Studying at Music&Art Private High School, the five girls encounter acquaintances and companions for their common purpose. They make unremitting efforts for the goal, boarding the summit of Star List through the match, to prove their strength!